Last season is long gone, but it was only this Monday that the Spanish sports newspaper Marca has revealed who has been the best player in La Liga 2012-13. Cristiano Ronaldo won the Alfredo di Stéfano trophy for the second consecutive year and reaffirmed his big belief that Real Madrid will be capable of winning the Spanish League this season. 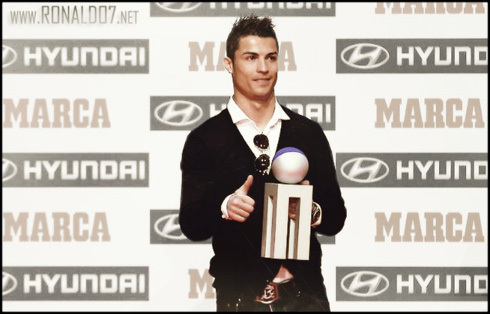 Cristiano Ronaldo has won his second Alfredo di Stéfano award from Marca, after being voted the best player in the Spanish League during the 2012-13 La Liga campaign. The Portuguese forward scored 34 goals in 34 appearances for Real Madrid and even though he saw Barcelona winning the league and Lionel Messi scoring 46 goals in 32 games, his decisive influence on many difficult games throughout the past season was enough to hand him most of the votes. Ronaldo attended this event in Madrid this Monday and spoke a few words when approaching several topics the journalists were interested at. 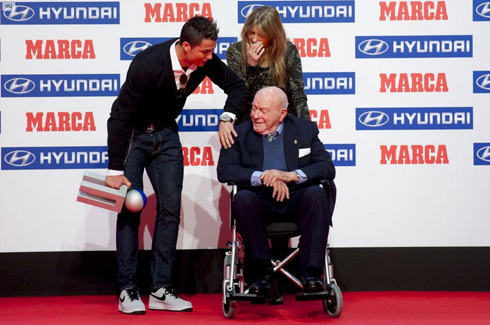 The Alfredo di Stéfano award has started being awarded in the 2007-08 season, meaning it has now been delivered 6 times. 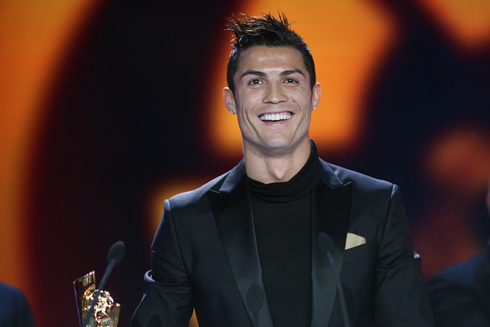 Raúl won the first edition in 2007-08, followed by Barça's Lionel Messi who would then win it 3 times in a row and lastly Cristiano Ronaldo, who took this trophy home for the past 2 years in a row. The winner of this award comes out of a voting round from a selected panel of journalists and football personalities. Here are some of the names that make part of the voting panel: Alfredo di Stéfano, Andoni Zubizarreta, Emilio Butragueño, José Eulogio Gárate, Manuel Díaz Vega, Fernando Hierro, Fabio Capello, Luis Suárez and Enrique Castro 'Quini'. 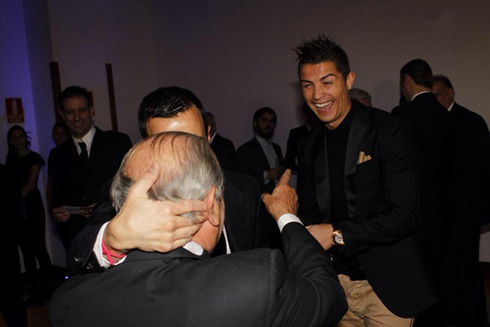 After receiving the award from the hands of Alfredo Di Stéfano himself, Cristiano Ronaldo answered a few questions posed by the journalists. The first one had to do with his mesmerizing form during the start of this season. Ronaldo: "I believe I'm having the best start of a season that I've ever had in my whole career. I've always been in great form in the past years, but this season I might just have done a little better than in previous occasions", started by remarking the 28-year old forward. Cristiano Ronaldo: "Real Madrid is really strong this season, but we're still growing as a team and improving game after game. I just want to help this group and make sure we'll be at our best level by the end of the season, since that's when the competitions are won. We're strong now, confident in ourselves and that's the path we want to keep following. The secret to success is to work and keep the focus on both the training sessions and the games. We must work hard every time! ", revealed the 2008 FIFA Ballon d'Or winner. Ronaldo has been forced to sit out from the last two games for Real Madrid, after picking up a left thigh injury (hamstring) against Almería. In both occasions, he has watched the Merengues from the stands and how they've dealt succesfully with Galatasaray in the UEFA Champions League and Real Valladolid in La Liga, but it's on the pitch that every Real Madrid fan wants to see him in the future. The Portuguese star assured that he is now fully recovered from his injury and that he'll be back on December 10, against Copenhagen. Ronaldo: "I'm not injured anymore! I'm fine now and I feel I don't have any problems for a couple of days already. I could have played in the last game, but we decided not to take any unnecessary risks, so that's why I've rested. I'll be available for the next game though...", promised a visibly excited Cristiano Ronaldo, who is still aiming at breaking the UEFA Champions League group stage goalscoring record. He will do that if he scores at least one goal in the Copenhagen vs Real Madrid match, scheduled for December 10. A few days ago, Ronaldo had already showed how convicted he is that Real Madrid is capable of winning both La Liga and the Champions League this season. He said that when he was collecting his "FourFourTwo Best player in the World" award and he has done it again this time in Madrid, moments after receiving the Alfredo di Stéfano trophy. CR7: "We have to think in one thing at a time. Right now, I'm focused on Real Madrid and I'll do my best to help us winning La Liga and the UEFA Champions League, which are goals a club like Real Madrid always need to have in its horizon, year after year. I'll think about Portugal and Brazil's 2014 FIFA World Cup after the club season is over", noted the current top goalscorer of La Liga, with 17 goals scored in 14 games he has played. Ronaldo: "I must say I'm not that surprised and that's because I could already see how strong they were becoming during last season. They are a very organized team, led by a great coach and they have a very good goalkeeper. They are going to fight for the 1st place in La Liga, as I don't doubt they are a true contender this season. 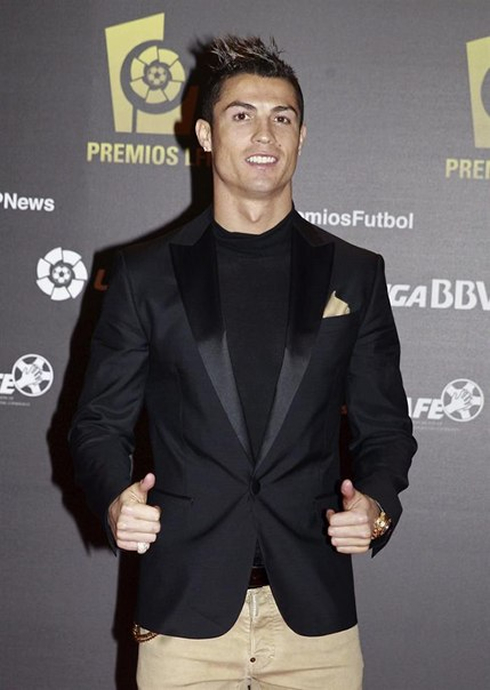 Let's see what it happens at the end though, since I believe Real Madrid will manage to finish on top", concluded CR7. Cristiano Ronaldo is expected to return from his injury on December 10 of 2013, when Real Madrid takes Copenhagen for the last UEFA Champions League group stage fixture. In the meanwhile, you can watch Olimpic Xativa vs Real Madrid, Liverpool vs Norwich, Manchester United vs Everton and Arsenal vs Hull, all matches provided from our football streams section.